The location for the new EBA Terrace (click for a larger view). Old South Hill is the New South Hill! The Cabins are complete and many of us, including the current staff, have now had a chance to check them out — and a lucky few have even had a chance to move in! The final part of the South Hill cabin project is placing paving stones around the cabins and walkways, beautifying the area and making it wheelchair accessible. The crown jewel of the construction will be a central terrace in front of the cabins, which will truly complete the project with the flair for perfection and professionalism that our staff is known for. 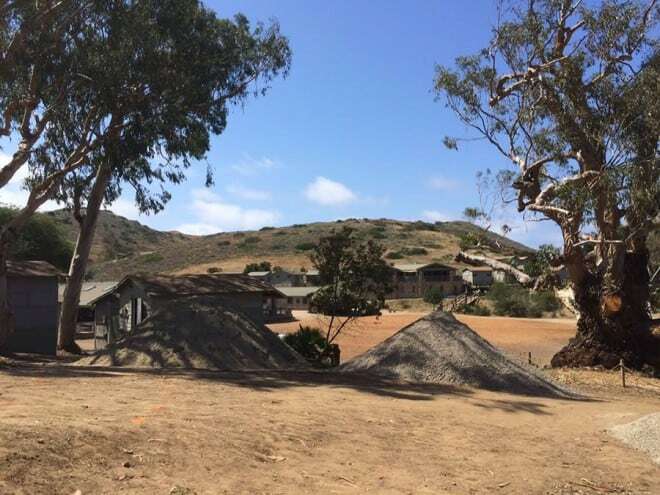 Imagine this inviting congregation area nestled between the fourth new cabin, the Chart House, and the old eucalyptus tree, overlooking the bay with a small fire pit and benched areas to contemplate what we have achieved and where we are going to challenge ourselves next. Consider, also, that the entrance to camp will now be bracketed by two grand stone monoliths: The EBA Campfire Circle to the north and The EBA Terrace to the south! 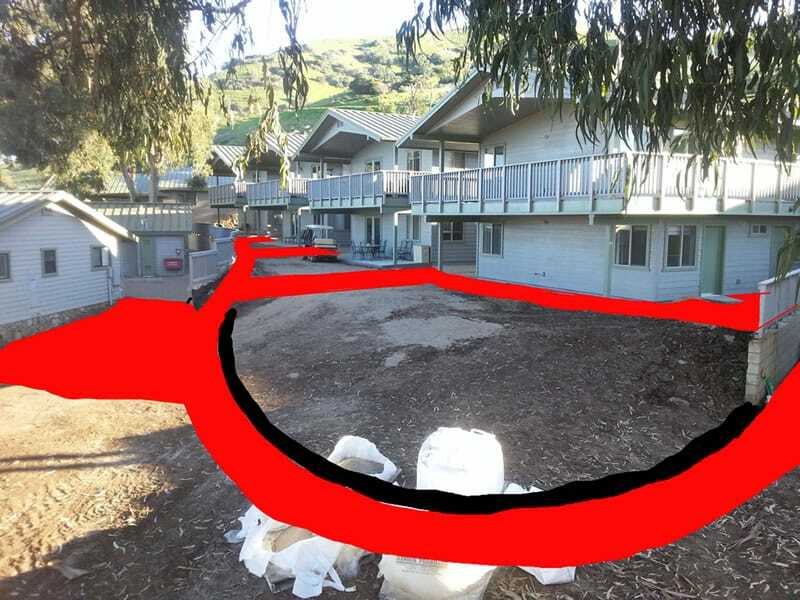 The EBA Terrace will provide a central “outdoor living room” area where the residents of the cabins and those who visit them can come together. It will not only support camp in general, but will also be one of the greatest things that we as a community have done to date to support the current and future staff. It is a perfect way to give back to our very own comrades lasting. 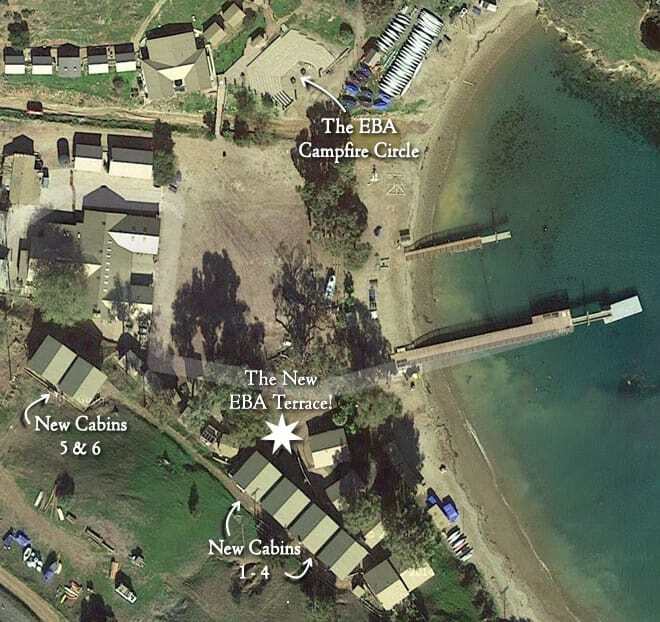 An illustration of the location for the EBA Terrace, facing South – note the new cabins on the right side! Camp needs $50,000 to build the EBA Terrace. This includes the costs of grading, materials, labor, and shipping. The EBA Board of Directors enthusiastically agreed that this is a project worthy of our organization and our membership, and a terrific way for us to give back to Camp in a long-lasting and impactful way. We ask you to please donate today to this capital campaign — whether you can give $20, $200, or even $2,000, your gift will make a huge difference for the camp we all love so dear. 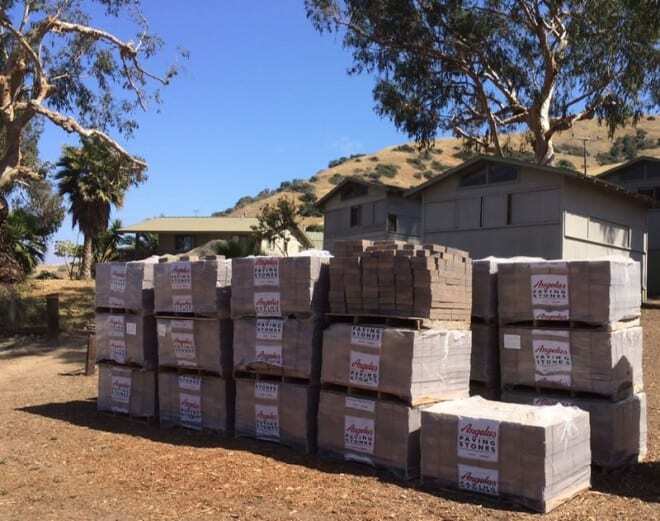 Paving stones, ready to install! We are so confident that we are going to be able to make this project a reality that we have already commissioned construction — things are definitely moving fast! — and we hope you’ll be able to join us for the ribbon-cutting ceremony at the Summer Reunion in August! A view of the location, looking towards the parade ground and dining hall.